This afternoon I came up with a delicious cookie recipe using coconut flour. I threw it all together, not knowing what to expect, and was pleasantly surprised. 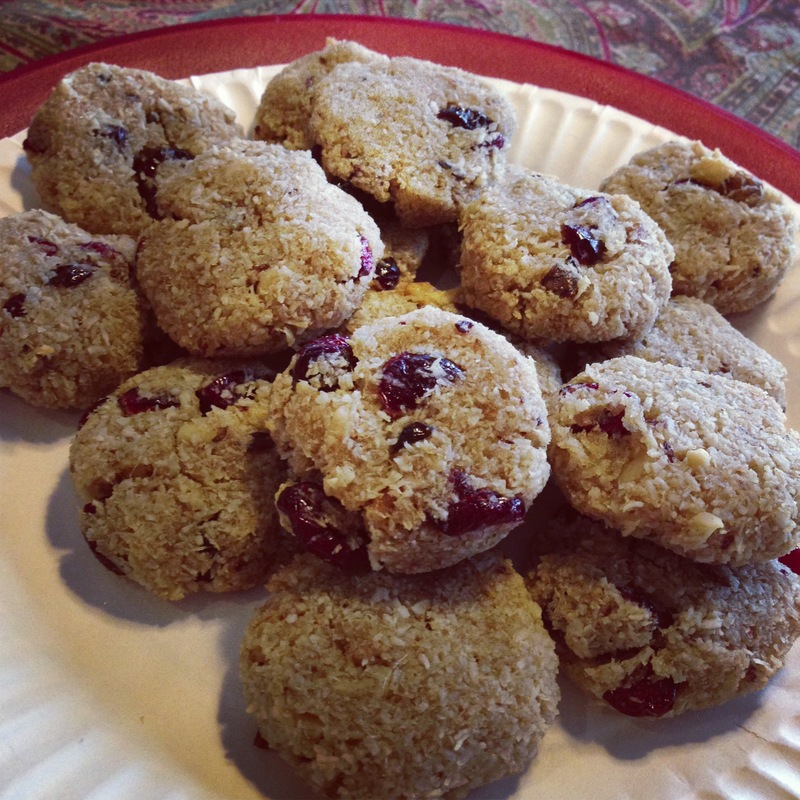 These cookies are chock full of walnuts, dried cranberries, and dates. Yum! 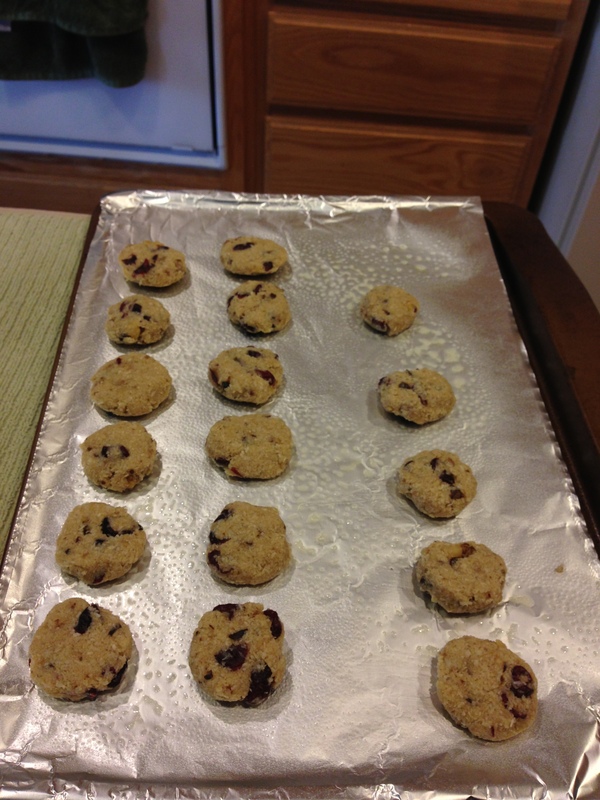 Mix the coconut flour, walnuts, dried cranberries, and dates together. In a separate bowl, beat the egg and add the coconut oil. Combine the dry ingredients with the wet ingredients. Using a small ice cream scooper or tablespoon, form the dough into uniform balls. At this point, they will be very crumbly, so, just squish them together, which will prevent them from falling apart. Slightly flatten the balls and place on a greased cookie sheet. The surprising thing about this recipe is that although you’re not adding any refined sugar or even any honey, the cookies are still delightfully sweet. I think using coconut flour, instead of almond flour, has a lot to do with it. From my own experiences with using both of these types of four, I’ve realized that coconut flour is better for dessert items and almond flour tends to be better for more savory items. I hope you enjoy these! If you decide to make them, let me know how they turn out for you.